The earthquake 2007 demonstrated the fragility of the mobile communication systems and this has resulted in the lack of coordination between the authorities should deal with the emergency. This situation has not changed since, as has been shown in each tremor registered country. Thus, Dolphin Telecom company in our country has implemented the Tetra system, designed to support emergency communications due to its superior method trunked digital GSM (System for Mobile Communications). The Tetra system has a standard guaranteed by the European Telecommunications Standards Institute (ETSI) and it operates in isolation to the mobile network. The degree of saturation of the Tetra communications system is negligible because it operates on the basis of group communications, which would allow efficient communication between the authorities and institutions that should be involved during and after an emergency. 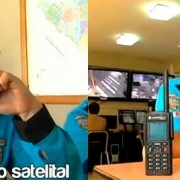 The effectiveness of the Tetra system Dolphin Telecom is currently tested by 27 municipalities that operate this equipment, and the major ports of the country and the Jorge Chavez International Airport. This is a system designed especially for critical situations and just as other operating systems collapse. 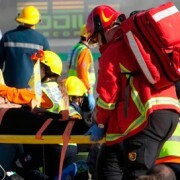 The importance of Tetra equipment is ensuring that the authorities maintain efficient communication, reliable and secure. 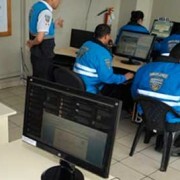 It is important and vital for coordination in emergency situations institutions such as the police, Serenazgo, Civil Defense, sector Salud, Transport need to manage these conditions. The Tetra Dolphin Telecom trunked system would ensure, for example, timely and efficient alarm alert Tsunami, expedite the evacuation of danger zones, including own natural emergency situations. 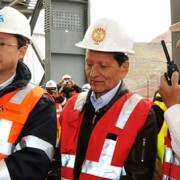 In our country the effectiveness of Dolphin Telecom teams were corroborated by the municipal authorities in the earthquake and tsunami drills that were run in May and June that were led by the National Institute of Civil Defense - INDECI. About Dolphin Telecom. 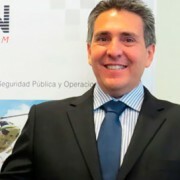 The company operates in the country since 2009 and providing excellent services for users of Public Safety and Mission Critical, vital interest Emergency Services, Public Safety Agencies, Mining Operations, Ports, Airports, Banks. 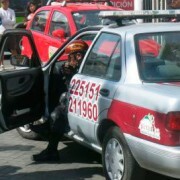 The system allows secure communication, smooth and trouble signal when making a call. Allowing to reduce the response time to incidents.